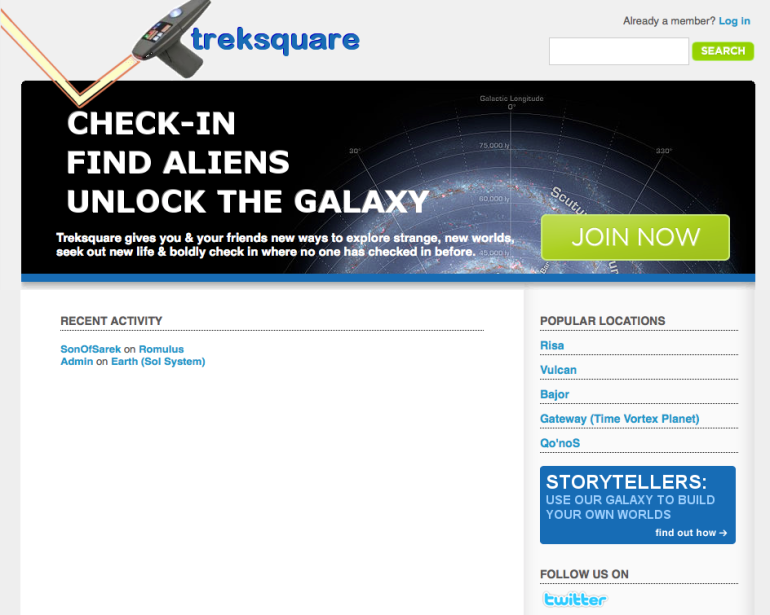 On April 1, 2010, Treksquare became the first inter­plan­e­tary loca­tion-based social net­work­ing web­site. This ful­ly func­tion­al April Fools’ site (inspired by Foursquare) allowed users to add new plan­ets and check in wher­ev­er their imag­i­na­tion may take them. I han­dled all ele­ments of this project and took Treksquare from an ini­tial idea to launch in less than two weeks. This sample originally was published to portfolio.kevinabarnes.com on April 1, 2010.